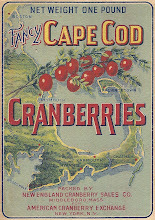 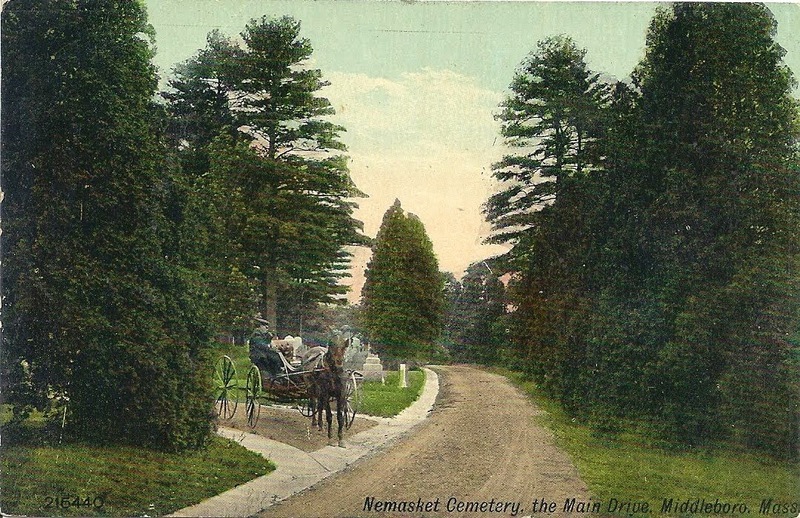 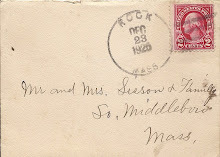 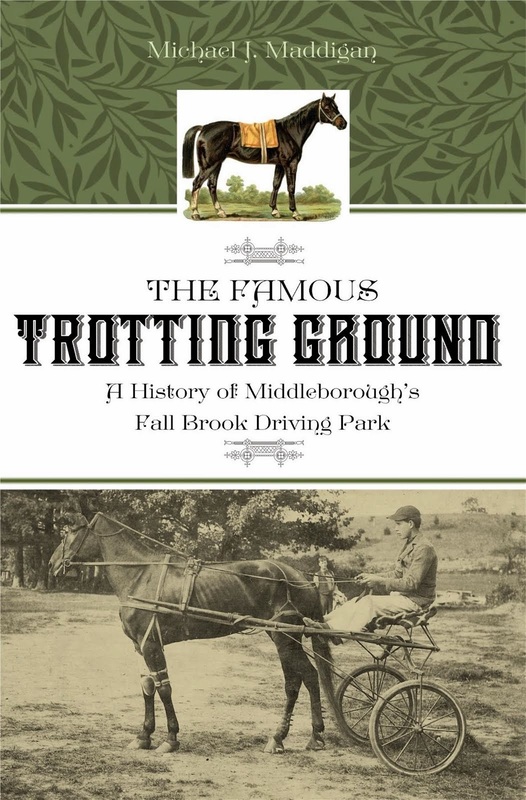 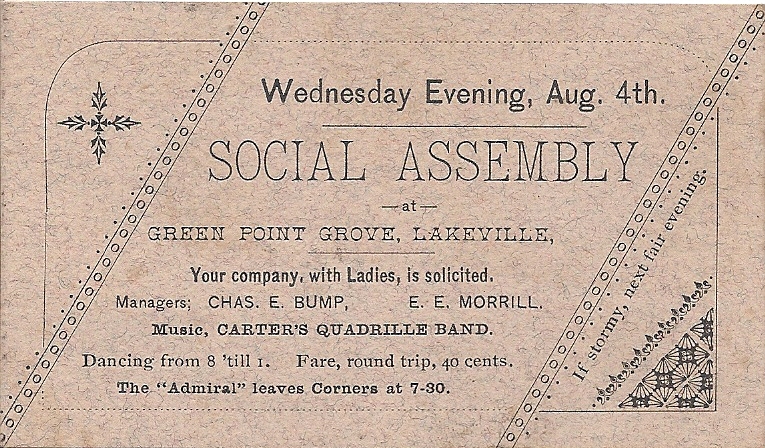 Located on the western shore of Lake Assawompsett south of Nelson's Grove, Green Point Grove is a less well remembered venue for summer outings, but as these two small advertising cards attest, the site was popular during the summer season for music and dancing in the last quarter of the 19th century. 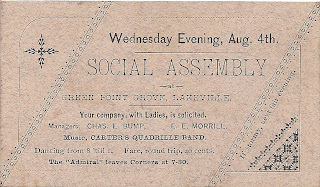 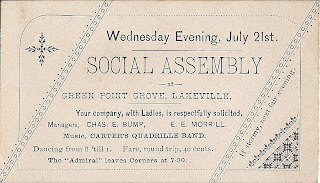 Dating possibly from 1886, the cards advertise a "social assembly" featuring John M. Carter's quadrille band. 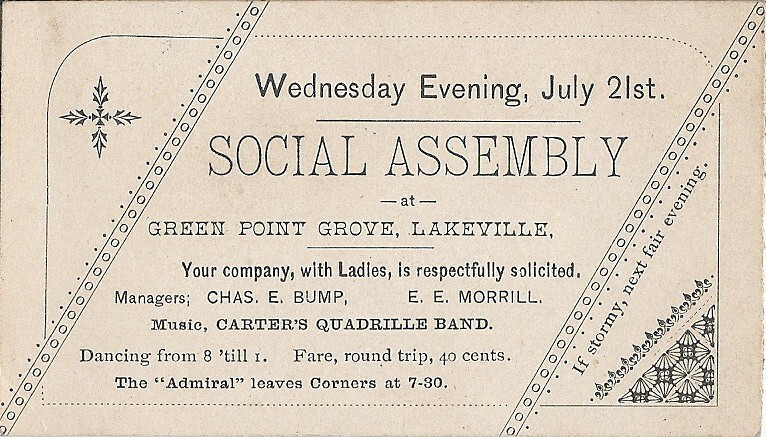 Transportation was provided by "Admiral", a so-called party wagon capable of transporting a large number of passengers.